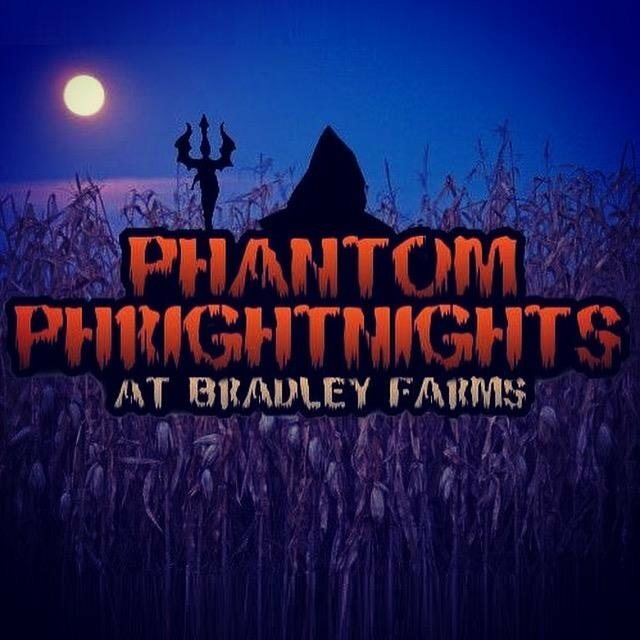 Phantom PhrightNights at Bradley Farms features 3 attractions. The Phantom Farm Manor (Haunted House). The Phantoms Ride of Revenge (Hayride). The Undead Shootout (Interactive Paintball) as well as concessions, The Black Hole, Carnaval Games, and Escape Rooms.